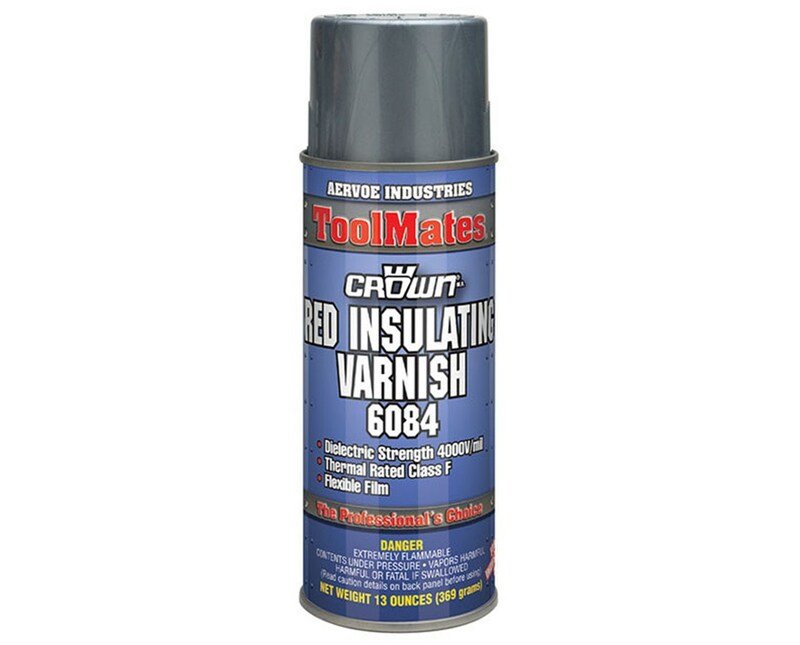 The Aervoe ToolMates Red Insulating Varnish (12-Pack) is an industrial-grade coating that provides excellent insulation for electrical equipment and components such as armature windings, high-voltage circuits, field coils, and electrical leads. It offers a dielectric strength of 4,000 volts per mil when completely cured. This specialty coating by Aervoe contains epoxy ester resin with Class F thermal rating to allow heat expansion and contraction. It leaves a red, tough, flexible film that is water-resistant and oil-proof. It can also withstand moisture and temperature fluctuations ensuring long-lasting protection. Fast-drying, it dries to touch in just ten minutes and is fully cured within 24 hours. 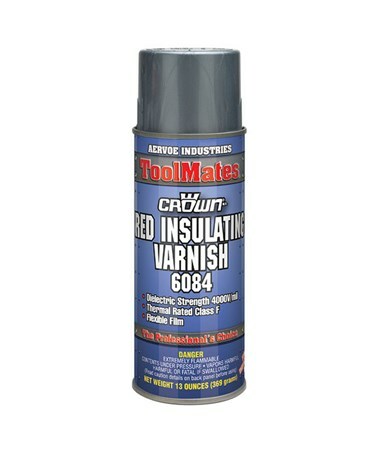 The Aervoe ToolMates Red Insulating Varnish (12-Pack) adheres to a wide variety of surfaces. It can also be used for coating frayed insulation and restoring dielectric properties lost from frictional wear. Each package includes 12 cans of 13-ounce insulating varnish and a one-year manufacturer’s warranty.